Almost three tons of concrete are produced each year for every person on the planet; only water is consumed more per head of population. Now used almost universally in modern construction, concrete polarizes opinion: provoking intense loathing and even nausea in some, it is regarded by others with a messianic passion. Concrete and Culture breaks new ground by studying concrete's effects on culture rather than its technical properties. 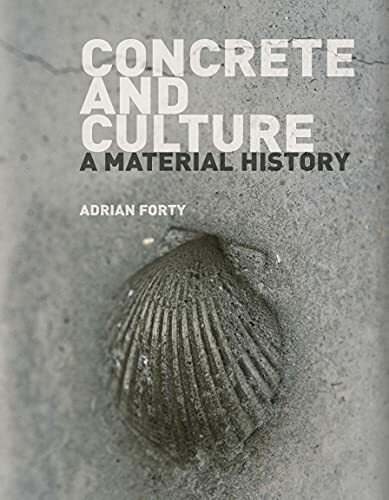 Adrian Forty examines the ways concrete has changed our understanding of 'nature', of time, even of 'material'. While the book concentrates upon architects' responses to concrete, because they have had most to say about the medium, it also takes into account the role concrete has played in politics, in literature, in cinema, in labour-relations, and in present day arguments about sustainability. Politicians, entrepreneurs, clerics, photographers, artists, and filmmakers have all taken advantage of concrete for purposes of their own. Covering Europe, North America, South America and the Far East, Concrete and Culture asks to what degree concrete has been responsible for modernist uniformity and looks at the debates it has engendered. The first reflection on the global consequences of concrete, the book offers a new way of looking at our environment over the past one hundred years. Adrian Forty is Professor of Architectural History at The Bartlett, University College London. His books include Objects of Desire: Design and Society since 1750 (1986) and Words and Buildings: A Vocabulary of Modern Architecture (2000).